Starz has built a solid slate of original programmes in recent years with the Spartacus franchise a cornerstone. As that comes to an end the cable network is looking at ordering more contemporary stories as well as sci-fi to sit alongside its high-end historical drama. Managing director Carmi Zlotnik tells TBI about the original programming strategy and what’s coming up. TV is the new indie film, or maybe the new mainstream film, according to many of those who have made the switch from big to small screen. Managing director of Starz Carmi Zlotnik echoes those sentiments and says that what his US cable network is doing in terms of originals is informed by what’s gone before in the film world. The expanding world of high-end TV, in the case of Starz, translates to a greater number of original, network-defining shows. It will have about 36 hours of its own shows this year and that number will rise going forward. “We’re still targeting 50 hours [of originals] over the next couple of years, but we’re certainly evaluating that, and a lot of that has to do also with our change in our portfolio mentality of really being able to consider other kind of partnerships and financial arrangements,” Starz CEO Chris Albrecht told analysts at the end of February in the wake of the company’s latest financial results. Albrecht was facing analysts for the first time since Starz was spun off from Liberty Media and began trading as a separate, Nasdaq-listed, company in January. The Spartacus franchise stretches to Spartacus: Blood and Sand, Spartacus: Gods of the Arena, Spartacus: Vengeance and Spartacus: War of the Damned and has been a breakout hit for Starz. In strategic and production terms has helped define the cable net’s originals strategy. “Spartacus taught us lessons in terms of what you can do in green screens and how to do that graphic novel style of storytelling, it was very informative and we have a couple of projects in development that will use similar techniques,” Zlotnik says. Starz is now looking at building on the success of Spartacus with a show about Roman emperor Caesar. 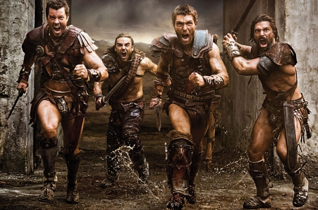 It has previously been reported as a Spartacus spin-off, but is now looking likely to exist outside of that world. The White Queen, meanwhile, won’t use the graphic Spartacus style, but does have a historical setting. The series, which is based upon Philippa Gregory’s series of bestselling novels and set during the English Civil War, is produced by All3Media’s Company Pictures with Starz and UK public broadcaster the BBC. It will debut on Starz this autumn and Starz Worldwide Distribution has international rights, ex-the UK and Benelux region, and it launched internationally at MIPTV. The cabler says it will take a pragmatic approach to distribution and it needs to strike a balance between the need to feed its sales arm and to get the right quality and volume of shows on the network. “Some we want to own, others we are happy to license,” Zlotnik says. 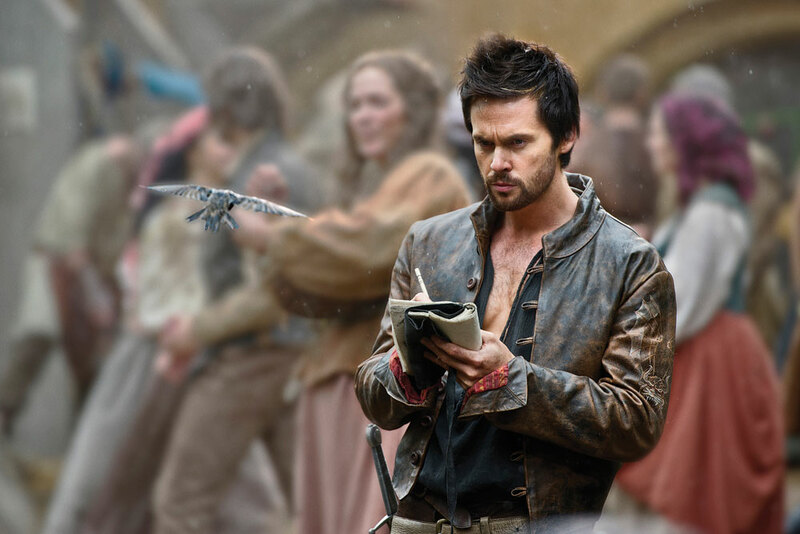 A programming pact with BBC Worldwide is in place and the first of the two shows that will come out of that is Da Vinci’s Demons, which casts the inventor and artist as superhero. BBC Worldwide is selling it internationally. The other Starz-Worldwide project has not yet been decided. While recognising the value of historical drama, Starz’ new shows will be weighted towards more contemporary settings. Sci-fi is another area of focus and the cable net is developing a a project from Spartacus creator and Buffy the Vampire Slayer writer Steven S. DeKnight. Incursion is about a war between humans and aliens. Another show in advanced development is Outlander, which is based upon a series of books by Diana Gabaldon about a female time traveler who goes from the 1940s to the 1740s Scottish Highlands. It is being worked up in association with Sony Pictures Television. One much-hyped show already in production, in South Africa, is pirate series Black Sails. Zlotnik says Starz took pitches of all of the pirate series currently being worked up for other cable and broadcast nets and, having seen this one last, is confident it has the best of the crop. “We have built a town, a beach, we have water, a wave machine, two ships and Toby Stevens and Michael Bay; we have a huge pirate show on our hands,” he says. Starz will distribute and its sales team had early footage to show buyers at MIPTV ahead of a full international launch at MIPCOM. The initial priority, however, remains making sure the originals work on the domestic Starz and Encore channels, which had 21.2 million and 34.8 million subscribers at last count. One reason to have a stream of originals is to keep whetting the appetite of the channels’ subs. Further new series come in the shape of Fortitude, which was co-commissioned with UK premium pay TV counterpart BSkyB and announced during MIPTV during Sky MD of content Sophie Turmer Laing’s keynote. It comes from Fifty Fathoms and Endemol-owned Tiger Aspect, and has Low Winter Sun writer Simon Donald attached. Coming-of-age drama Airborne, meanwhile, will follow a young helicopter crew trying to survive the early chaos of the Vietnamese conflict, which officially occurred between 1959 and 1975. Rob Tapert (Spartacus) is executive producing, with Newsroom staff writer Gideon Yago penning the series. Starz will produce it in-house as its latest original drama, and also retain all international multiplatform rights. “Every programme we identify hits a brand promise, it’s an immersive spectacle and there’s always the promise of what’s coming, what’s on the horizon,” Zlotnik says.